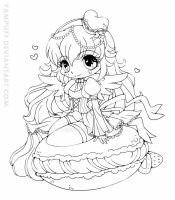 EDIT 2017: This chibi has not yet been uploaded to yampuff.com and is on my 'to edit' list! 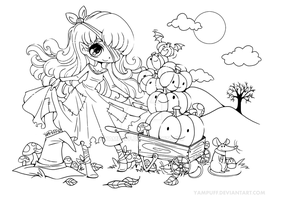 Stay tuned, this will be the lineart for our December coloring contest! This will be so fun! I cant wait! 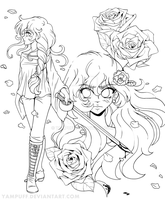 This is an old contest, just to warn you, but you're more than welcome to color the lineart anyway! Is there a current contest for Oct /Nov /Dec 2016? Not currently but I am possibly updating later today with a Halloween contest! 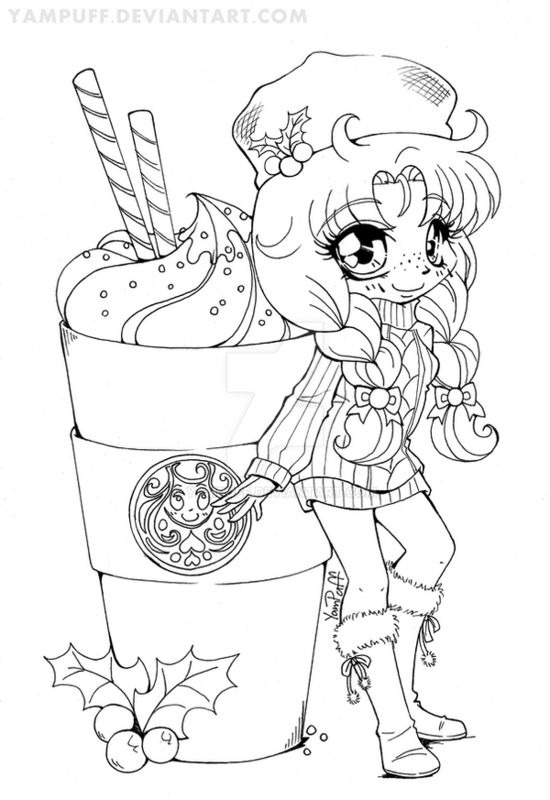 could you please this week maybe make a pumpkin spice type line art similar to this one you made of holiday winter/Christmas? please please please? 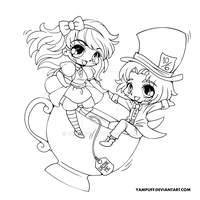 and maybe even a few fall themed ones for this month? Hi! This month I am focusing on my own art through Inktober, however I had a Halloween contest planned, so there may or may not be something new. I totally had to color this one, too! fav.me/d9ieb38 Thank you again for the lines. 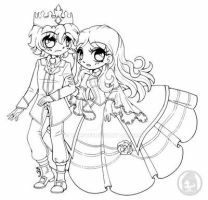 Awah this is so super cute huu i wish i had more time to enter contests recently - maybe next year i can try ore fter ive caught up on here /;u;/ the pose is so so good to me and your lines s ever so clean eep! Hopefully you'll be able to enter the next one! 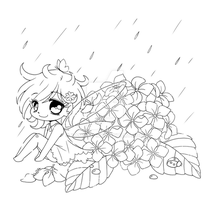 Can I still join the contest I really want to color this lineart. 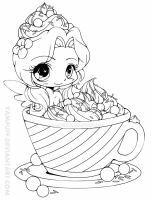 Contest is open till Jan and you're welcome to color even if you don't want to enter the contest. Too cute. And work at Starbucks. even if the contest is over, I'm still totally excited to color it. I only color for personal interest and practice, and always leave watermarks. 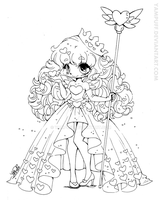 It's open till Jan & you can color it whether you want to be in the contest or not. I don't exactly have access to digital art right now, but would I be able to print it off and color it traditionally for the contest? Yup, go for it! We love traditional entries. Just please make sure the scan/ photo of the art is as clear as possible. Whenever I try to download it to color the image scrunches up into the left side of the page and turns lime green. Is it my PTSai, or is there just something wrong with the download? I think that the problem might be the file size or the file format. 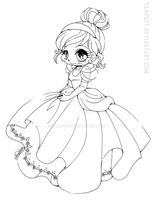 Try to convert it into the jpg file. I always use microsoft office picture manager. But you can use photoshop or a good site for that. I have Paint Tool Sai and Paint, that's about it. My laptop didn't have a lot of things on it when I bought it. I'll find a way to fix it eventually. 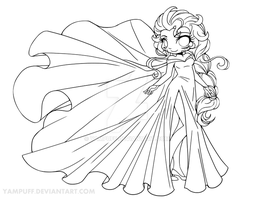 Yay, I can't wait to color her! !